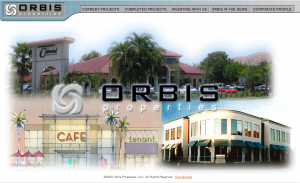 Yves A Martin Consulting, LLC created a website for Orbis Properties, a company that builds and operates or repositions existing properties into quality business environments in Southwest Florida. 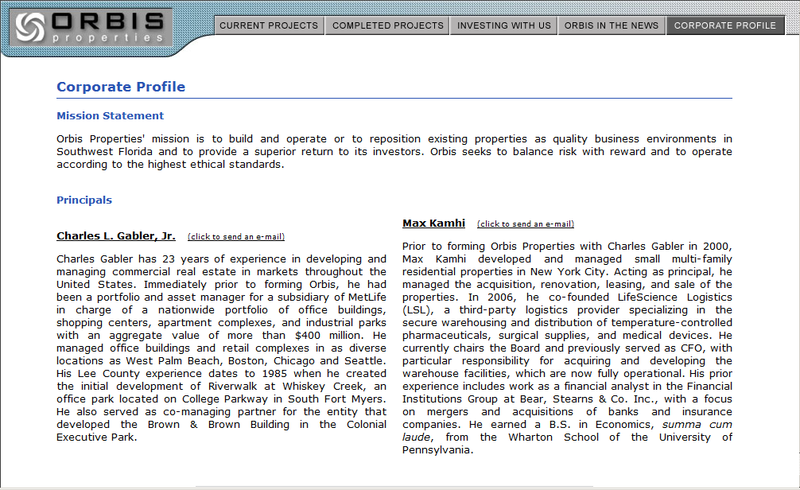 The website allows visitors to see what are the current projects and completed projects of Orbis Properties. The web design team at Yves A Martin Consulting used PHP and MySQL on the server to create the website for Orbis Properties. The system includes a simple content managements system. 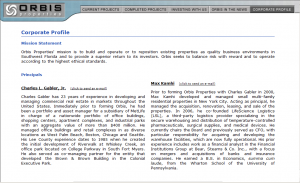 It also has a membership component that allows Orbis Properties to securely publish company financial reports to the web giving investors world class access to see how their investments are performing.